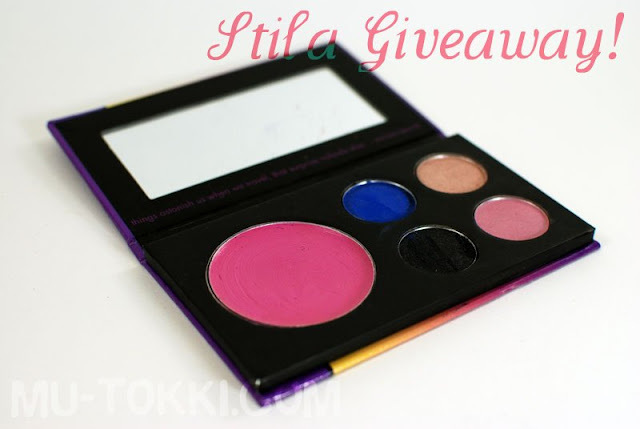 makeup bunny is giving away two of these palettes to its readers! Rules are under the cut. Be a public subscriber of mu-tokki through Google Friend Connect, tumblr and/or twitter. Those who already followed me before today on GFC and tumblr already have additional entries. I will take care of shipping, so this is open to anyone in the world. There will be two winners, each will receive a brand new Stila Trendsetting in Tokyo Travel Palette mailed by makeup bunny. Giveaway will close on April 24th, then a winner will be chosen and contacted within the following 48 hours. If the winners cannot be contacted, their prize will be forfeited and other winners may be chosen.